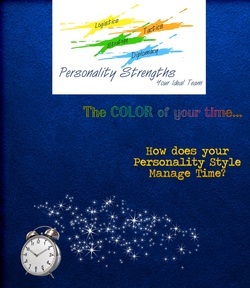 It's True Your Time Management Style comes in Four Colors! Have you ever attended a time management course, or sent an employee on one, only to discover that within a week or so you or your employees are back to doing things the way you always have? Why is that? It's because we are hard wired a certain way, we have laid down certain neural pathways in the brain, and we just keep going back to old comfortable patterns. 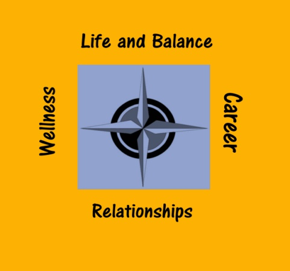 Understanding your personality style and your Time Management preferences, can help you to identify those comfortable patterns, and encourage you to try on different patterns that may contribute to your success. Read about Steve's team and their unique challenges, take the quiz and get well on your way to discovering how to manage your time more effectively. Just simply fill in the form below to access your ebook and MP3 - enjoy! I love to help! Download these handy coaching tools! To your Success! A Taste of Colour Personality Dimensions from Irene Anderson on Vimeo.